A Warm ActiveRain Welcome Back to Carol A. Kearney!!!! Carol A. Kearney is back...and we are all thrilled to have her. Now let me be clear, she never went anywhere physically, but for the past year and half, she has been working with New York Life learning the insurance industry. Sometimes you need to step away to realize what you have, and Carol is thrilled to be back working full time in Real Estate for Momentum Realty. Other than this brief break, Carol has been an active Realtor for nearly 25 years. When I went back to work after staying home for 8 years with my children, I was lucky enough to find Carol, who became my manging broker. The company we were with changed their business model and we both left and went to another company together. In 2005, after a tough year with a problematic Broker, we decided to form our own company and Momentum Realty was born! Carol has been continuing in the role of Principal Broker during the past year, but has not been selling Real Estate. I, personally, am glad to welcome her back in a full time capacity. She is a talented Realtor and a great business partner. She and I work well together because we often have different ways of evaluating a situation and we bring new perspectives to each other. One of the tenents of Momentum Realty is our belief that continuing education should be done, not just because it has to, but because of the value it brings to us as Realtors and practitioners. Carol 'walks the walk' when it comes to education. She is a Graduate of the Realtors Institute (GRI), an Accredited Buyers Representatvie (ABR), a Senior Residential Specialist (SRS) and an Accredited Staging Professional. 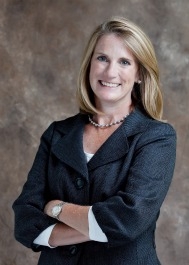 She also is a member of the Dulles Area Association of Realtors Education committee. Besides her commitment to education, she is very active in the local community as a member of the Loudoun County Chamber of commerce, with her church, volunteering in the schools and with her neighborhood association. She belongs to several local networking groups and is currently participating in a Toastmasters program. So raise your glasses and offer a congratulatory toast to Carol and her successful return to the world of residential real estate. We are all lucky to have her! You can find out more about Carol and how to contact her for advice and assistance in buying or selling real estate at her ActiveRain page: www.activerain.com/carolkearney, or at our company website, www.momentumrealtyva.com.